Following the opening of its first Tissot Boutique in the prestigious GUM emporium in Moscow as well as in celebration of its 160th anniversary that Tissot has partly reached thanks to that very important market, it decided to honour their bond with Russia by re-creating the Tissot Pendant of 1878. The Tissot Pendant 1878 represents a very important stage of Tissot’s long and rich history. It was in 1858 already that Charles-Emile Tissot, son of the founder, decided to win new markets for his young company and travelled to Russia with a sample of pocket watches. It turned out to be a great success. This piece represents that success. It was a one of a kind piece that was sold on in Russia in 1878. The Tissot Pendant 1878 is an extremely refined mechanical piece with many details providing it with a timeless elegance. 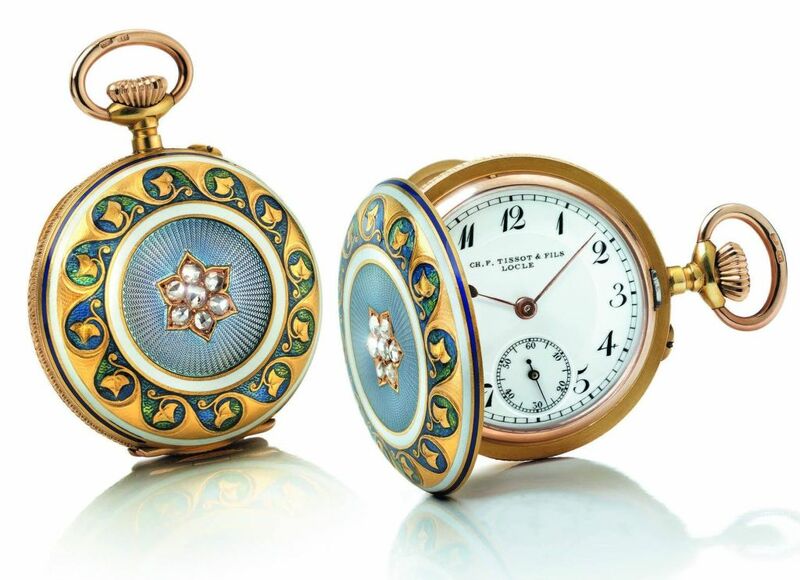 It has a double opening, with a beautiful engraving on one side and, of course, the time on the other indicated by fine hands and Arabic numerals. True to the original pendant, Tissot’s first signature is marked on the dial. The seven diamonds on its case contribute to the sophistication. They are set in a way which maximises the beautiful reflections surrounded by 18K gold detailing and case. The beautiful and colourful patterns and arabesques are reflects the design and art of that time. Tissot proudly honours its heritage with this stunning Tissot Pendant 1878.